Here we see some silk flowers – Mom’s signature touch. 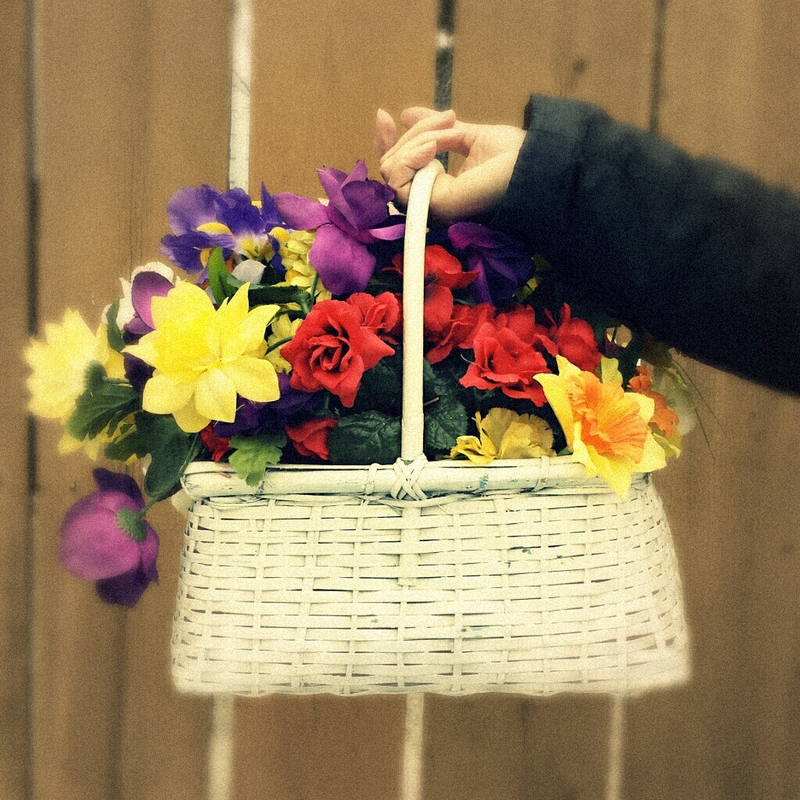 Improbable conglomerations of impossible blooms squeezed in baskets, displayed on every empty surface with an almost defiant declaration -“Prettiness!” These flowers have also been waiting for me, in a bag in my storage room. For five years I have been mulling over images I could make with them, to bring them to life, and make them Real through Love. Why should I be surprised when I find that no such elaborations were necessary? I had only to look in the bag, and there it was – a talisman so beautiful and Real and resonating with all the hope she never, never lost.